Employee Appreciation - show them you care! We all know that employee turnover is a common problem in the cleaning industry and it's very costly to employers. So what if you could find a way to lower your turnover by engaging employees with appreciation and recognition programs? Cash and always let them know how much they mean to your business! A Thank you is rewarding! We also have frequent pizza/sub lunch get-togethers. In the summer during construction cleaning we provide water and food. We treat them when we are traveling, have parties on holidays. Not all show up but we do it. We want to do gas cards but have not found them yet. We also do little things for having consistently high scores on inspections and we give out awards at the parties for good attendance. Thank you for the hard work is always welcome. We do bonuses, cookouts, lunches, dinners and other things to show them we are thankful for their work. We have many associate programs. Clean Closet Contest, staff can win a $10.00 Pizza-Pizza coupons for maintaining a clean closet. 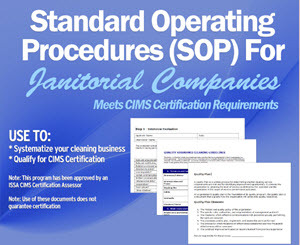 PAT'S Performance Above The Standard is a program where our clients can nominate their cleaner for a bonus of $25.00. Newsletter bonus, where we insert an associate's employee number in a article and if that employee calls the office in a certain time, will receive a $25.00 gift certificate. These awards/programs help keep associates motivated. As you can see from the comments above, employers show their appreciation in a number of ways; from starting with a simple "thank you", to annual awards banquets. What I would like to suggest is you make a more conscious effort to make your business "personal" when it comes to employee appreciation. Recognition from the top down creates a culture of appreciation in your organization. Remember that everyone is motivated in different ways. By taking this 4-pronged approach, you're sure to make a difference in all employees' work experience by showing you care in a number of ways. People want to feel valued. By acknowledging their good work with a sincere Thank You, you reinforce their value to the company. If you want to take it a step further, hand write a thank you card, give them a gift card, or even hand out employee appreciation coins. Sometimes employees just want to feel special. They want you to recognize that they went above and beyond in their duties. Employee recognition makes employees happy, and happy employees are motivated employees. For some, recognition for their ability to come to work every day for a year without an absence is quite an accomplishment and one worth rewarding at a company event. Make a big deal about it because it IS a big deal! 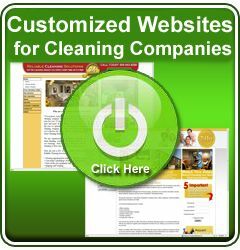 For others, recognizing that they took extra care to make sure a customer was completely thrilled with the cleaning service makes them happy. Happy customers means repeat business and referrals, so recognizing those employees publicly is a worthwhile investment of your time. When your employees do good things your company sees the benefits. So take the time to plan how you'll reward good work. The last employer that gave me feedback above, offers several different rewards programs for employees. This is the best approach to keep all employees engaged and motivated. Remember those coins I mentioned above? Perhaps they can be collected and cashed in for awards or prizes. Or maybe if they collect a certain number of coins, they can turn them in for a large decorative plaque or artistic piece in remembrance of their efforts. Something like the one pictured below from Things Remembered. This last approach is perhaps the most important one. If your employees don't feel the sincerity in your efforts, they won't be motivated and likely won't participate. I talked to the CEO of a national cleaning company that does upwards of $500 million per year. He's a very busy man as you can imagine, but he still makes time every week to visit client locations, talk to the cleaning technicians and thank them for their hard work. You may not have a multi-million dollar company, but you can still make an effort to connect with your employees on a personal level. Get to know what's important to them, what kind of food they like, the activities they enjoy outside of work. Then tie that information to personalized gifts. Adding that personal touch goes a long way towards learning the art of employee appreciation! How do you show your appreciation for a job well done? Share your ideas by clicking on the Comments link below.